Your pets need sunscreen. Sure, their dense hair protects them fairly well, but there’s no guarantee that they’re fully shielded from the sun’s blistering rays. Pay close attention to exposed areas that are the most susceptible. The ear tips and noses of white or light-colored dogs and cats. Pale-colored pets, especially those with thinning hair (due to allergies or thyroid disease). But all dogs, regardless of color, are susceptible to sunburn. The bridge of the nose just beyond the smushy, wet tip. Avoid products with zinc oxide, which can cause anemia, even when ingested in small portions. Products safe for human babies are zinc-oxide free, and many vets recommend using those on your pet, although there’s really no way of knowing if they truly work. Fortunately, the FDA has approved Epi-Pet’s Sunscreen (only for horses and dogs, though). 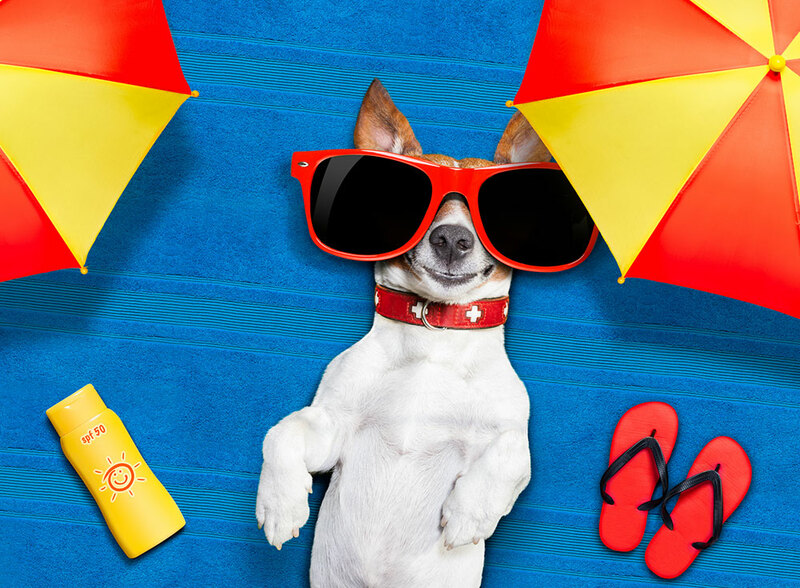 Doggles makes a 15 SPF spray, and Nutri-Vet carries a 15 SPF lotion and spray. Body Glove also makes a rashguard shirt that has received complimentary customer reviews. Many of you are keenly aware that mosquitoes can spread diseases in humans. Zika virus has received significant attention — although there’s still much to learn, including its effect on pets, if any. Still, they aren’t completely immune to mosquito-borne diseases. Heartworm, a very serious condition, is a major concern. Heartworm disease is as scary as it sounds. It is severe, potentially fatal and caused by parasitic worms that live in the heart and lungs. Heartworms are a type of roundworm, and dogs of any age or breed are susceptible to infection. Mosquitoes spread heartworms rather innocently. It happens when they bite an infected dog and ingest its blood. The immature heartworms, called microfilaria, grow into larvae inside the mosquito. 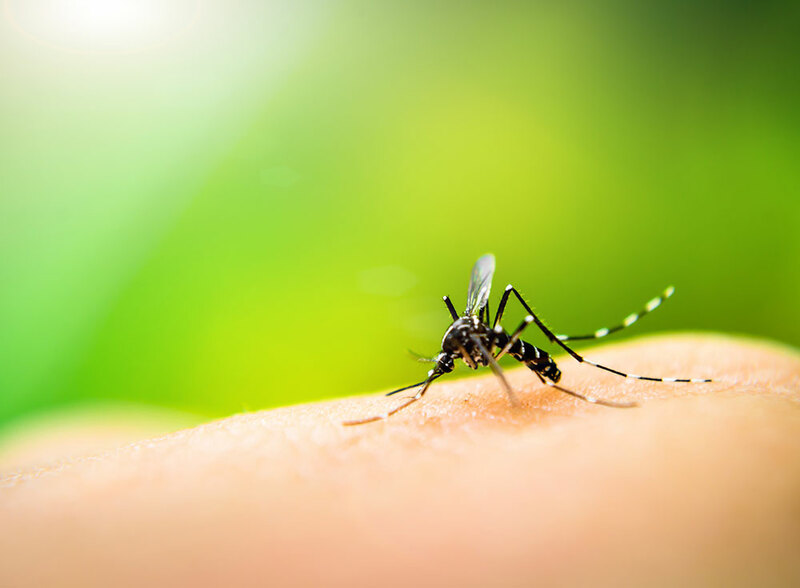 When the mosquito bites another dog or cat, the larvae is deposited on the pet’s skin and migrates through tissue under the skin. Eventually, the larvea enter the blood vessels, where they quickly travel to the lung. In 6 months or so, the infected larvae grow into mature heartworms and begin procreating. Adult heartworms can live 5 to 7 years in a dog and damage the lungs, heart, liver and kidneys. Lemon balm: Mosquitoes hate its yummy lemon scent, but humans adore it. It’s great in salads and sauces, adds a nice flavor to tea and has a long history of medicinal uses, from treating sleep disorders to calming stress. In Traditional Chinese Medicine, spring is the season during which the gallbladder and liver are most active. The liver is associated with the eyes, paws, nails, hooves, tendons and ligaments. It also controls the smooth flow of qi (energy) throughout the body. Stress, whether from drugs, emotional causes or environmental toxins, leads to stagnant liver qi. This may be evidenced by red eyes, irritability, aggression, ligament or tendon damage, and weak, brittle nails — signs that your pet’s liver needs tender loving care. No worries, however. 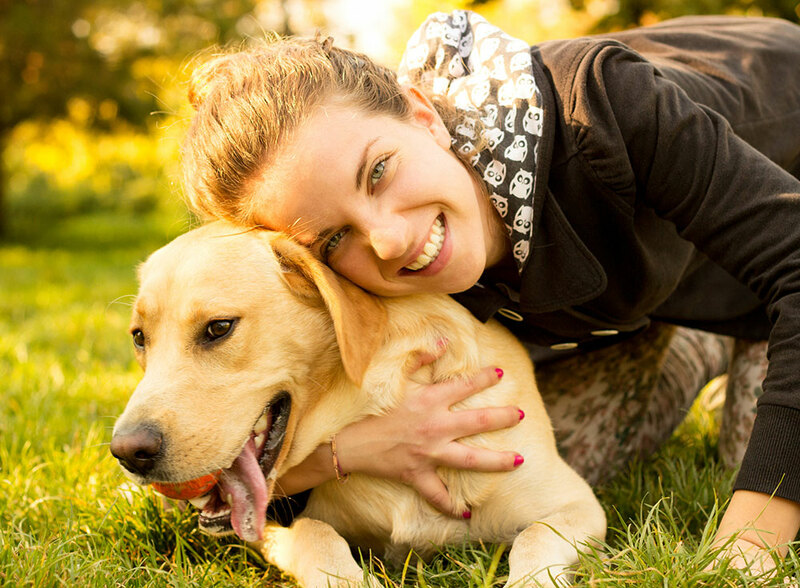 Together, Dr. DuBose and you can nourish your pet’s liver and restore the balance of qi to help it work efficiently. Pay attention to diet. Many chain store foods and treats are loaded with chemical additives, as well as artificial colors and flavors. Worse, they often contain indigestible ingredients and poor quality proteins and fillers that tax your pet’s digestion. Stay away from processed food and treats when possible. Read the labels. Cook homemade foods. Chinese medicine teaches that the liver and gallbladder love the color green, so adding finely chopped or cooked, leafy greens, asparagus, broccoli and dandelion greens to your pet’s diet is a major plus. Beef, beef liver, chicken liver, eggs, carrots, beets, brown rice, apples, and fish oil are also healthy choices. As strange as it might sound, apple cider vinegar works well, too. Commonly reported benefits include skin and coat improvements, less itching and scratching, better mobility in older dogs and an improvement in overall health. Millet, wheat, rye and oatmeal also help the liver function more efficiently.